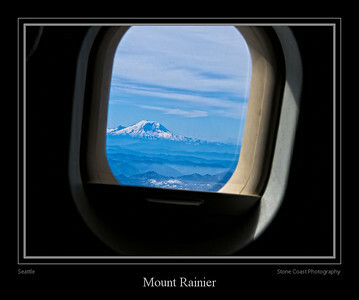 Aerial view of Mount Rainier, Washington seen from an airplane approaching the Seattle-Tacoma airport. 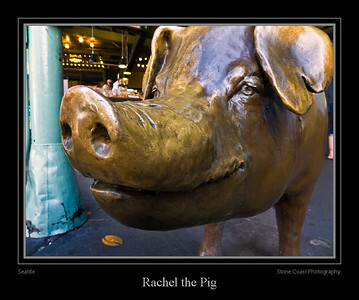 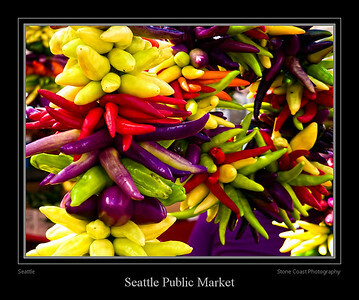 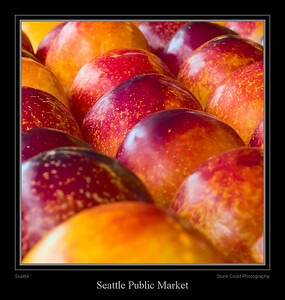 Rachel a bronze sculpture located outside the Seattle Public Market is the market's unofficial mascot. 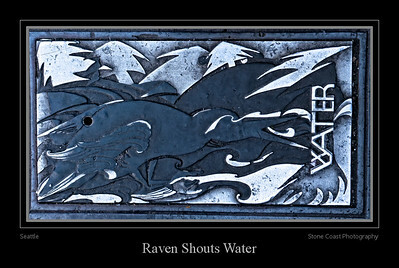 Raven Shouts Water is an artistic cover for a water district hatch cover in Seattle, Washington. 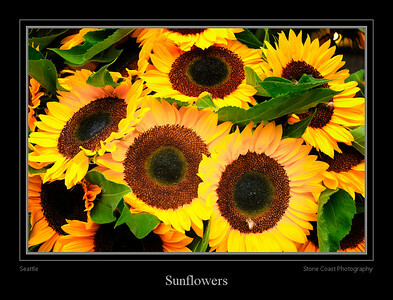 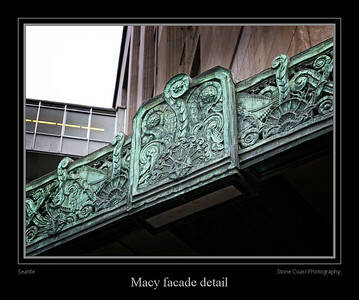 The design is by artist Barbara Earl Thomas. 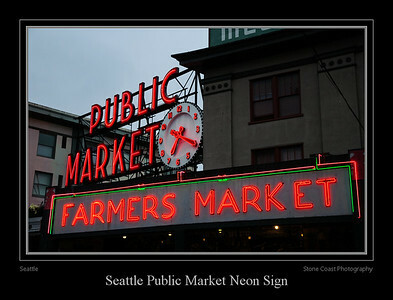 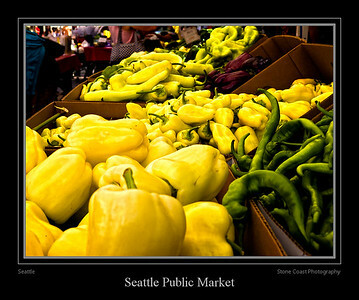 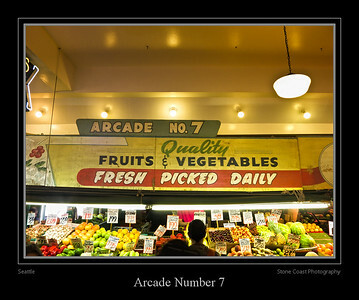 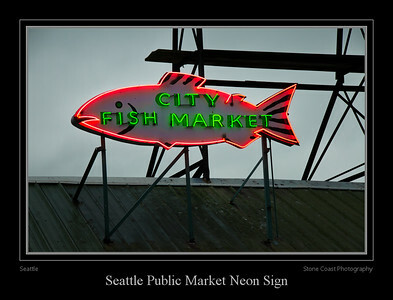 The City Fish Co. sign inside the Seattle Public Market. 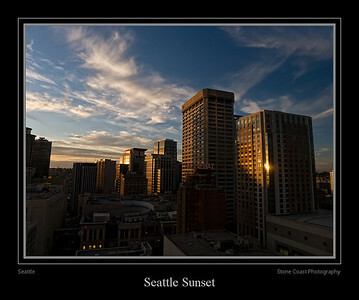 Seattle sunset seen from the downtown Sheraton Hotel. 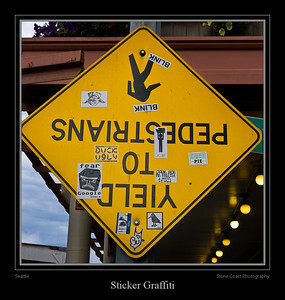 Sticker graffiti on a sign at the corner of Post Alley and Pike Place near the Seattle Public Market. 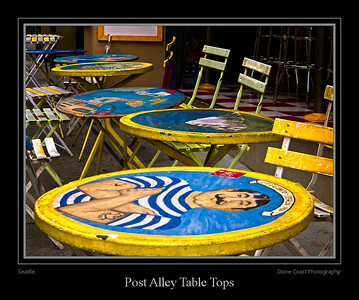 Painted table tops in Post Alley near the Seattle Public Market. 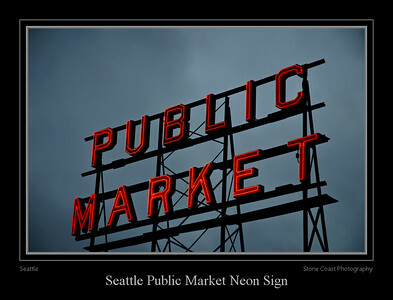 Sign at Deja Vu Showgirls in Seattle, Washington. 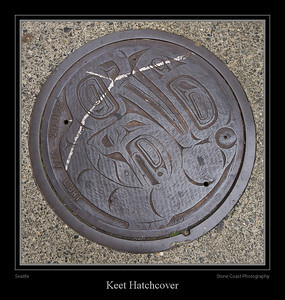 Keet Hatchcover - "Keet" is Tlingit for killer whale.From a design by Tlingit master carver Nathan Jackson. 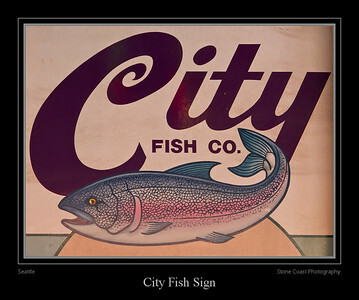 Cast in 1976. 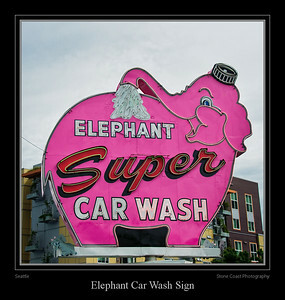 The Battery Street Elephant Car Wash's rotating neon elephant is a Seattle landmark. 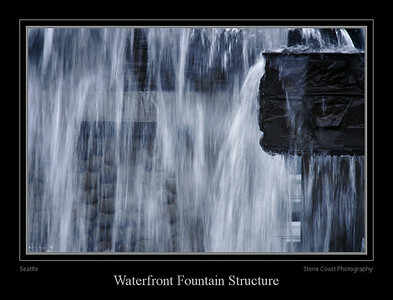 Waterfront Fountain structure in the Waterfront Park near the Seattle Aquarium. 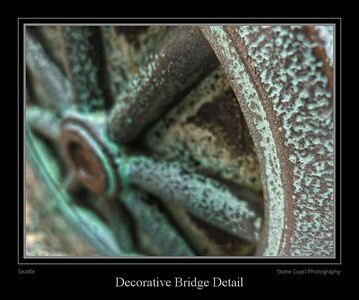 The sculpture is by James FitzGerald. 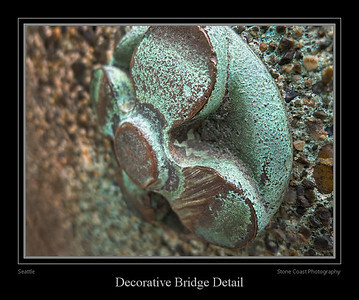 Decorative details on a bridge north of the Seattle Aquarium. 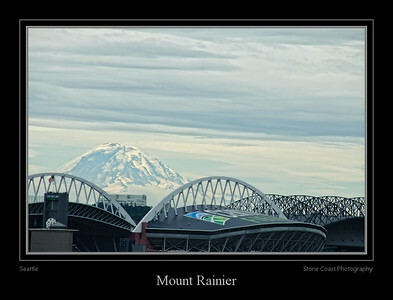 Mount Rainier with the roof structures of Centurylink Field and Safeco Field in the foreground. 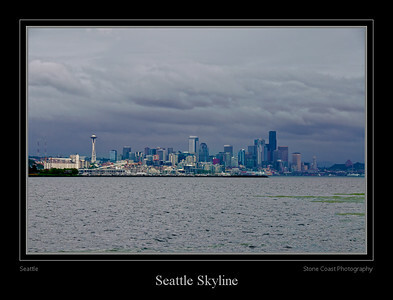 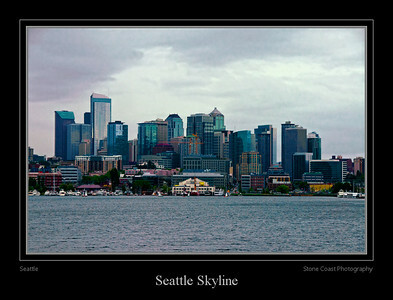 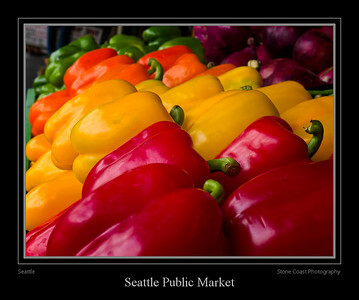 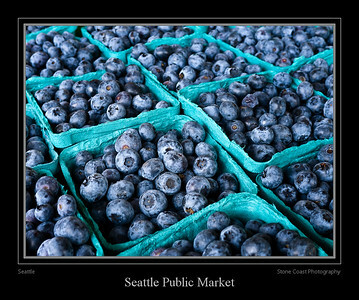 The Seattle skyline seen from Puget Sound. 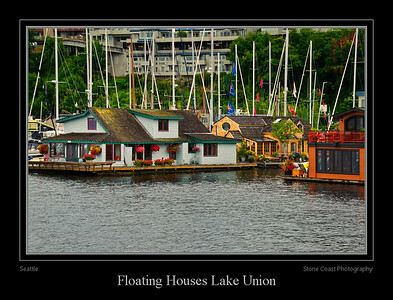 Floating Houses Lake Union in Seattle. 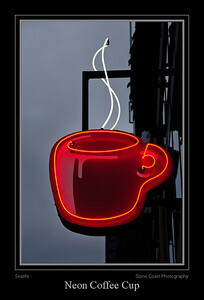 Neon coffee cup sign outside the Seattle's Best shop at the corner of Pine Street and Post Alley in Seattle.